Spain legends Andres Iniesta and Fernando Torres both lost on their J-League debuts. 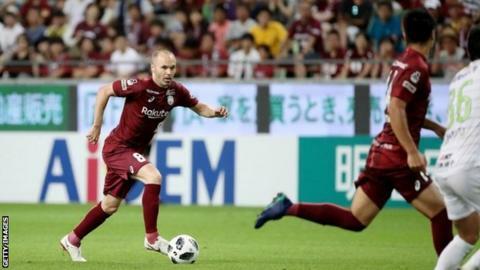 Midfielder Iniesta, who won 32 trophies at Barcelona, only came on for the final 32 minutes of Vissel Kobe's 3-0 defeat by Shonan Bellmare. Iniesta was playing his first official match for a team other than Barcelona - for whom he made 674 appearances - or Spain. He retired from international football after the World Cup, having won 131 caps. "It's a shame we lost because I don't like losing," Iniesta said. "But this is just the first step of an amazing new adventure. It was a physical game that showed the quality of the J-League."